Over Christmas and the New Year I managed to finish off a book I’d been meaning to finish for a while, that is Lucy Cooke’s The Unexpected Truth About Animals. The book itself is extremely well written, being both a fun and entertaining read whilst imparting fountains of knowledge on the reader at the same time. The book may have taken 2 years of Cooke’s life to write but in my opinion, those were 2 years well spent! Everyone knows something about animals (especially those of us that have gone on to study them at university and beyond), but not all of these ‘facts’ are right. 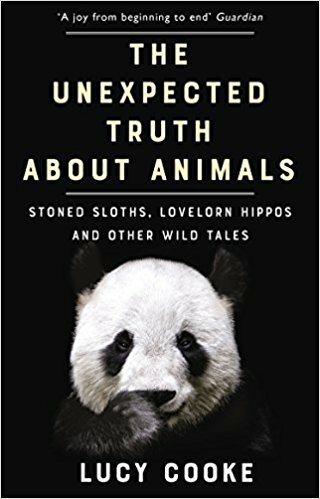 In The Unexpected Truth About Animals, Cooke goes into intricate detail about all of the failures the early naturalists made about different animals ranging from frogs (yay!) to storks. Despite naturalists not having the internet or television to distract them hundreds of years ago – they still made a mountain of errors or came up with quack theories that today just seem silly. These include the idea of spontaneous generation, that frogs just erupted from mud or that birds migrated to the moon for the winter. To us now with the knowledge we have, these sound preposterous. At their time, they were as cutting edge as the search for phlogiston (which has also since been disproved). Having known the author for a short while and spent some time in conversation, I didn’t need an audiobook to enjoy her voice – my brain immediately read it her voice (like those Morgan Freeman memes). Another quirk that I love about The Unexpected Truth About Animals is that Cooke hasn’t streamlined her vocabulary to make the reading more formal, it’s almost as if she’s used a dictaphone as it is written in the exact way that I’m so familiar of our conversations being. Not only does this make the text more accessible to a wider audience but it also makes reading it as fun as learning more about pre-modern natural historians and the blunders they made. If all of my praise doesn’t sell it for you then perhaps you should know that The Unexpected Truth About Animals was shortlisted for The Royal Society Insight Investment Science Book Prize 2018. Also, did I mention that it also includes frogs?